It’s been a crazy Christmas season for our family! We bought our fixer upper on December 4, 2014, and we were part of our town’s Christmas house tour on December 4, 2016. I still can’t believe we pulled it off! It was SO fun to talk with hundreds of people from our community and share our fixer upper story with them. Now I can’t wait to share our Christmas home with all of you! 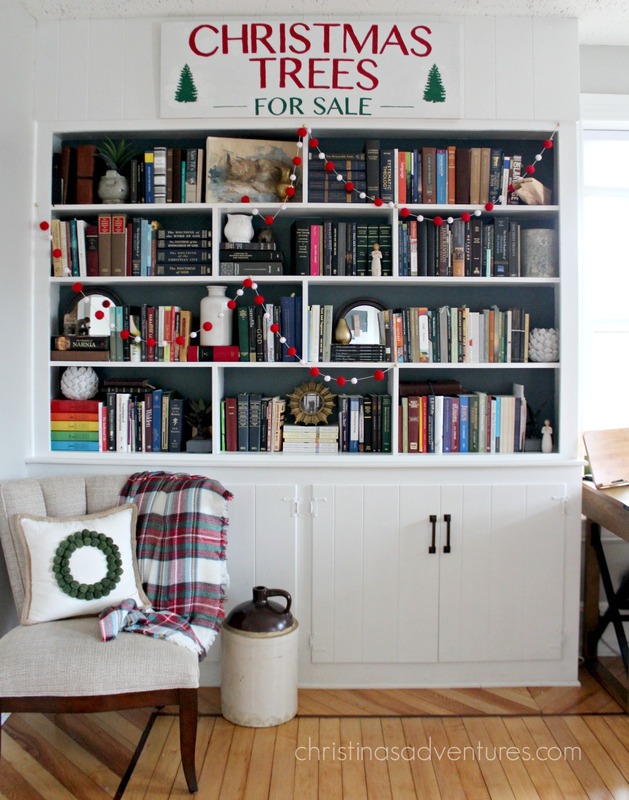 This whole week will be filled with Christmas inspiration – I’ll be posting more pictures of our home every day! 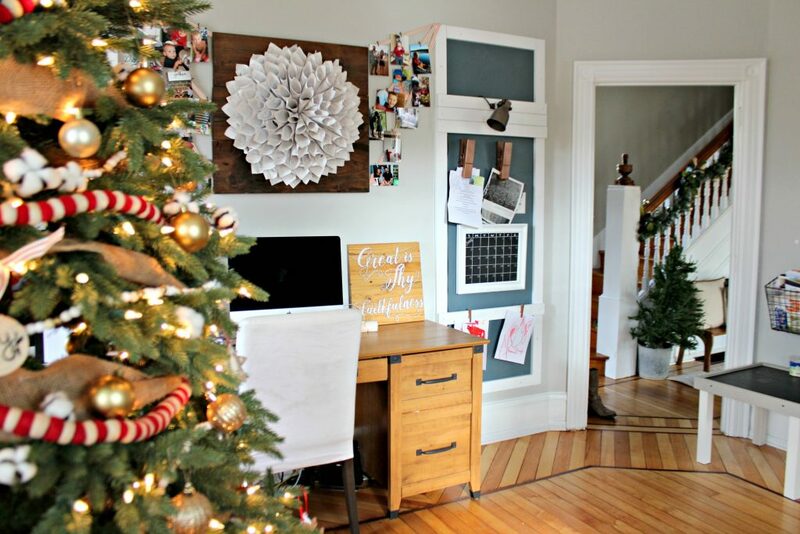 I also have gathered my most favorite farmhouse loving blogger friends to share their Christmas house tours with you – find their beautiful homes linked at the bottom of this post! If you follow me on Instagram, you’ve seen sneak peeks of most of these rooms…make sure you’re following to see more sneak peeks of our next projects! 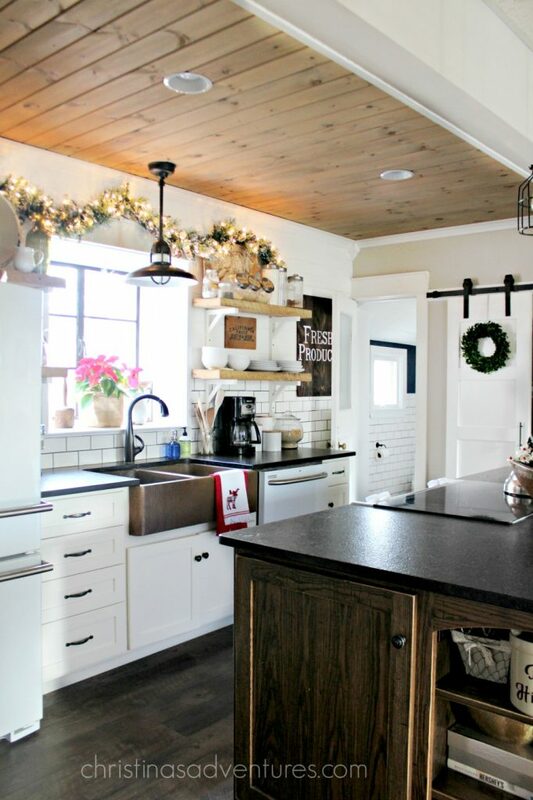 See all the pictures of our farmhouse kitchen decorated for Christmas here. those houses were given to me as a child – so fun to have them in our home now! My friend/assistant/nanny did all the chalkboards in our house and I loooove them! 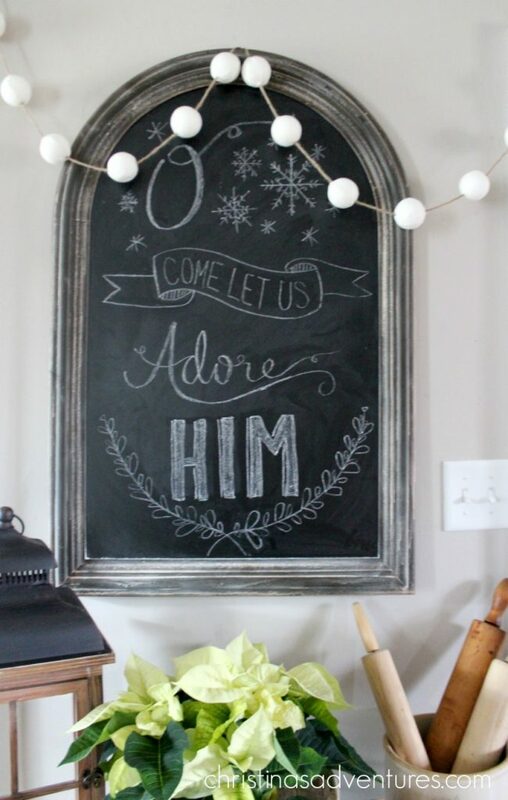 My new favorite home accessory – love this chalkboard! You know you’ve got a good friend when she makes a sign (inspired by Joanna Gaines) for your birthday. Isn’t this sign above our bookshelf amazing? 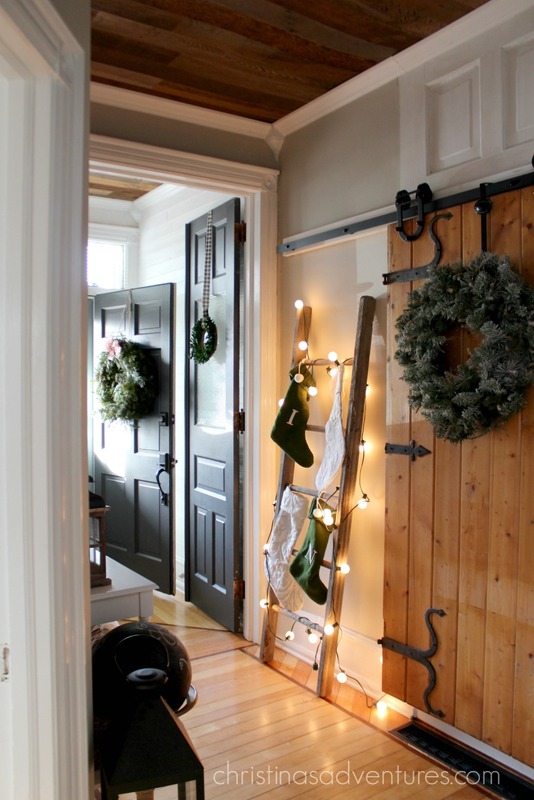 Our hallway is more festive than ever with our 10 minute DIY ladder stocking holder and abundance of wreaths! The house looks totally amazing! I’m speechless about the transformation…and we were there every step of the way! It has come SO FAR! You have done an amazing job decorating it for Christmas. That was all you! This home is perfect for you…. Thank you so much, Angie!! So sweet – I appreciate your comment and I’m so glad you participated in our tour too! This is absolutely perfect! So cozy and festive! Great job friend!!! Julie that is so sweet – what a kind comment!! We definitely LIVE hard in these spaces with two toddlers 😉 Thanks so much for being a part of our farmhouse Christmas tour! 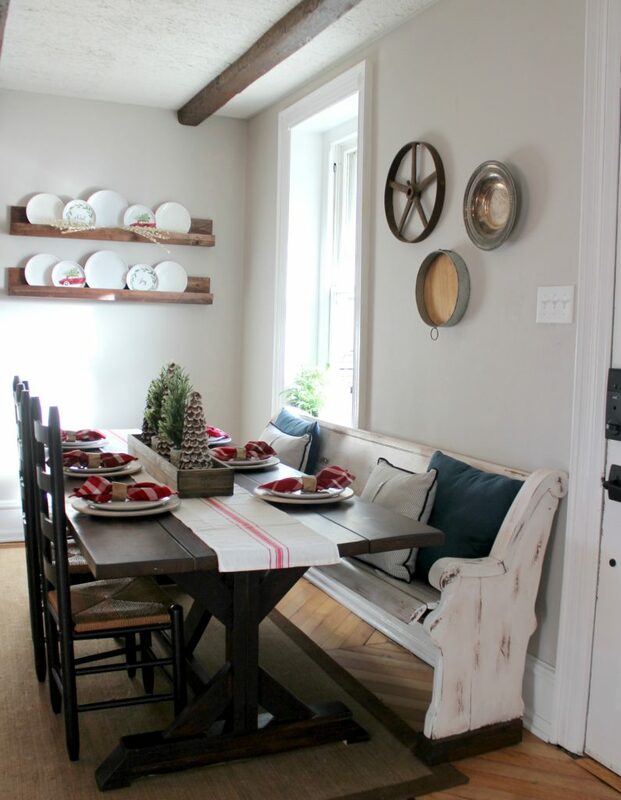 Christina, you guys have done such an amazing job on your fixer upper! Everything is just so charming. I love all your Christmas decor. Everything looks beautiful my friend! I absolutely LOVE every single detail!!! 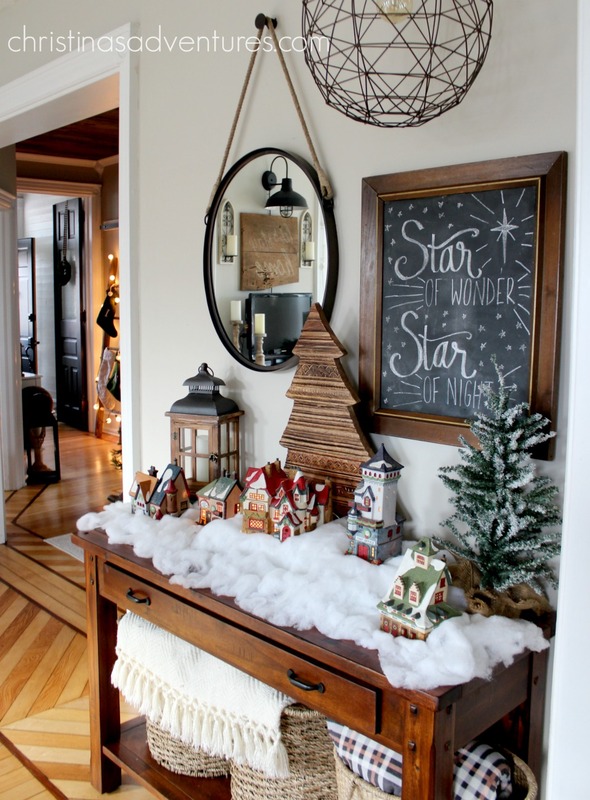 Your home is already to die for and with Christmas added to it, it’s even more magical!! Great job girl! I’m so excited for this tour! Thanks so much for organizing it 🙂 I love the stocking ladder, the chalkboards and the Christmas Tree sign. We cut our own tree every year, and a U-CUT Tree Farm Sign is on my to-do list for next year! Hi Christina, Everything is so beautiful! 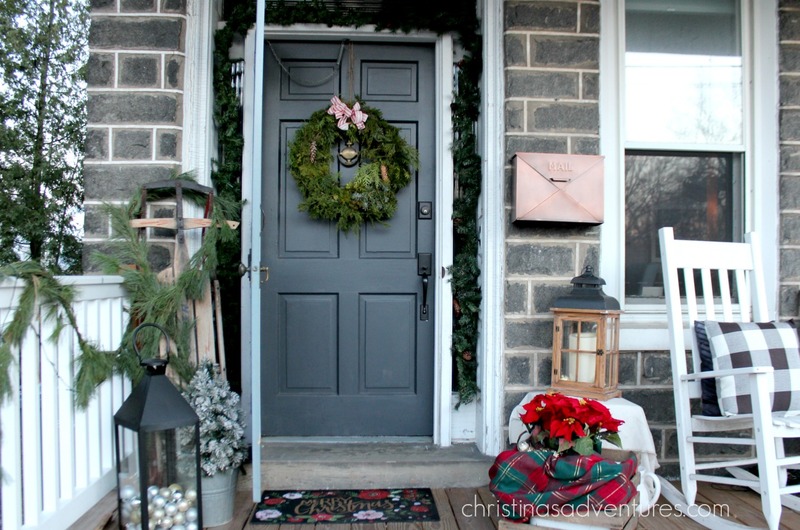 Thank you so much for including me in the Christmas Home tour. Beautifully done. I am going to check out your DIY on that ladder. We don’t have a fireplace in our rental this year so I was wanting the hubby to build a ladder for me. I love all your Christmas trees and your black board sine. It all looks so beautiful. Your ladder is decked out so cute! Christina, your home is so breathtaking! I love all the old charm! I can’t believe you had a house walk through tour…how fun! Thanks so much for hosting this tour, it’s been a blast! Christina, your home looks absolutely wonderful decorated for Christmas! I can’t even imagine how hard it would have been to get your home ready for an open house!!! 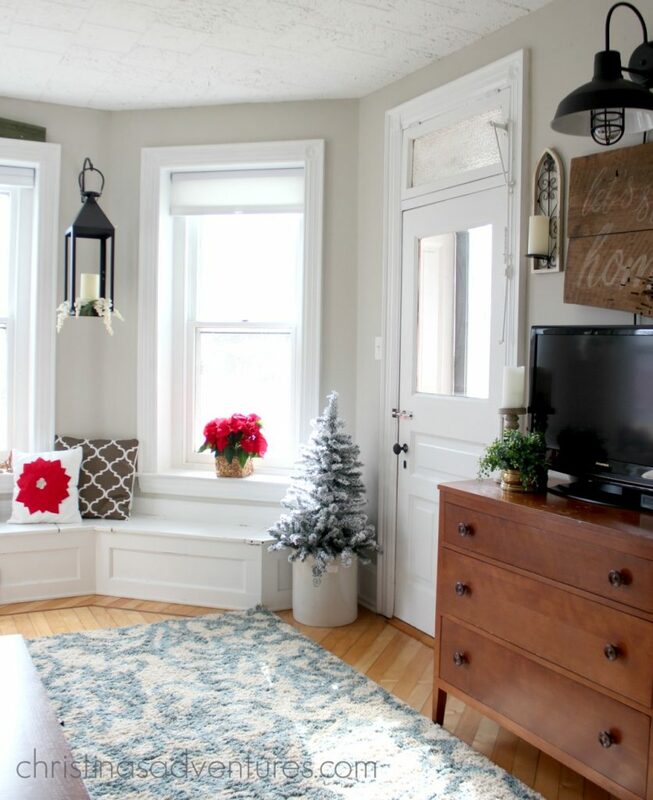 Can’t wait to check out more of your family room decked out for Christmas :). Thanks so much for organizing this Christmas farmhouse hop, I am really enjoying everyone’s tours. Merry Christmas!!! so pretty!! Your home is so cozy and inviting. Love it. Christina it all looks so wonderfully inviting! Just like a magazine. Merry Christmas!